We’ve reviewed a lot of Magento 2 themes in the recent months, and all of them have the same problem: the default checkout procedure is split between two steps and requires much time to be completed. Luckily, it is possible to fix this problem with the help of a reliable third-party one-page checkout module. Below we shed light on one of these solutions – Smart One Step Checkout for Magento 2 by Aheadworks. This Magento 2 checkout extension not only reduces the number of checkout steps to one but also analyzes the performance of your checkout page and helps to improve conversion rate. Sounds intriguing, so let’s figure out the module’s core features first. Integration with other Aheadworks Magento 2 extensions. So, let’s describe each feature separately. The Aheadworks Smart One Step Checkout Magento 2 extension completely revamps the default checkout page. It not only reduces the number of steps (pages) to one but also eliminates such distractions as the page footer and header. Besides, the module provides extremely user-friendly functionality. Since registered customers have more benefits over unregistered ones, the Aheadworks Smart One Step Checkout Magento 2 module allows logging in right on the checkout page. After a customer logs in to your store, all the necessary information is added to the checkout page automatically. Of course, it must be saved in a customer account. So, if the appropriate information was previously specified, the checkout is reduced to just a few clicks. Another vital improvement provided by the Aheadworks Smart One Step Checkout Magento 2 extension is the ability to edit product options right on the checkout page. It is no longer necessary to leave the checkout page to change specific item parameters – everything is possible in one place. Also, note that the improved checkout procedure fully supports gift cards, discount codes, and store credits. The appropriate fields are available on the checkout page, so your customers can fully leverage discounts and bonuses they have. Moreover, if an unexpected page reload occurs, there is no need to panic – all filled in data is saved to prevent data loss. One of the latest features added to the module is the automatic GeoIP detection of a visitor country. Another significant improvement is related to address autocomplete suggestions provided by Google. As for reports, the Aheadworks Smart One Step Checkout Magento 2 module allows you to view how many times each field was completed. It helps to discover fields that may cause cart abandonment. Besides, the provided information allows to find out the conversion rate of your checkout page as well as abandoned checkout revenue. Another report is dedicated to the total amount of placed orders. 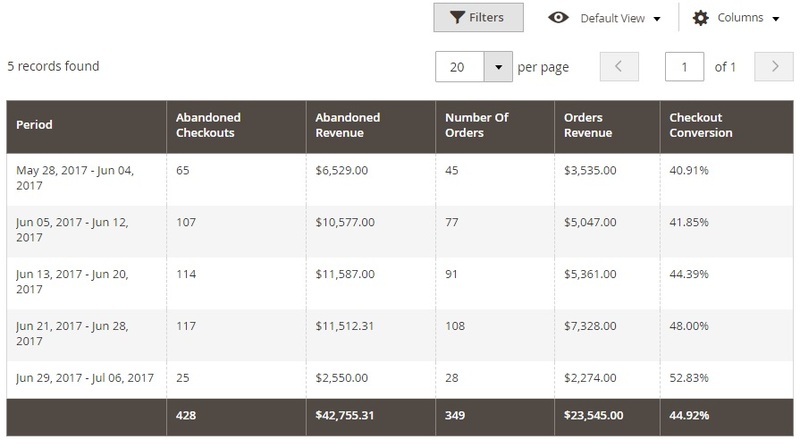 Besides, you can view order placed revenue and compare it with the abandoned checkout revenue. 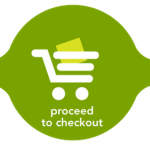 To improve the checkout even more, Aheadworks allows you to connect the Smart One Step Checkout extension with the Follow Up Email (or Abandoned Cart Email), Gift Card, Reward Points, and Store Credit and Refund extensions. Aheadworks provides a short tutorial on how to use the extension. The tutorial is divided into four steps. First of all, you should configure the extension customizing the checkout page according to your needs. The Aheadworks Smart One Step Checkout Magento 2 module allows users to show/hide selected fields and define their order. 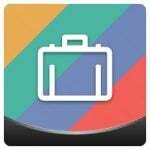 It means that all unnecessary fields can be eliminated, but if your business requires any additional information about a client, you can freely add some new fields. Besides, it is possible to set default field values. 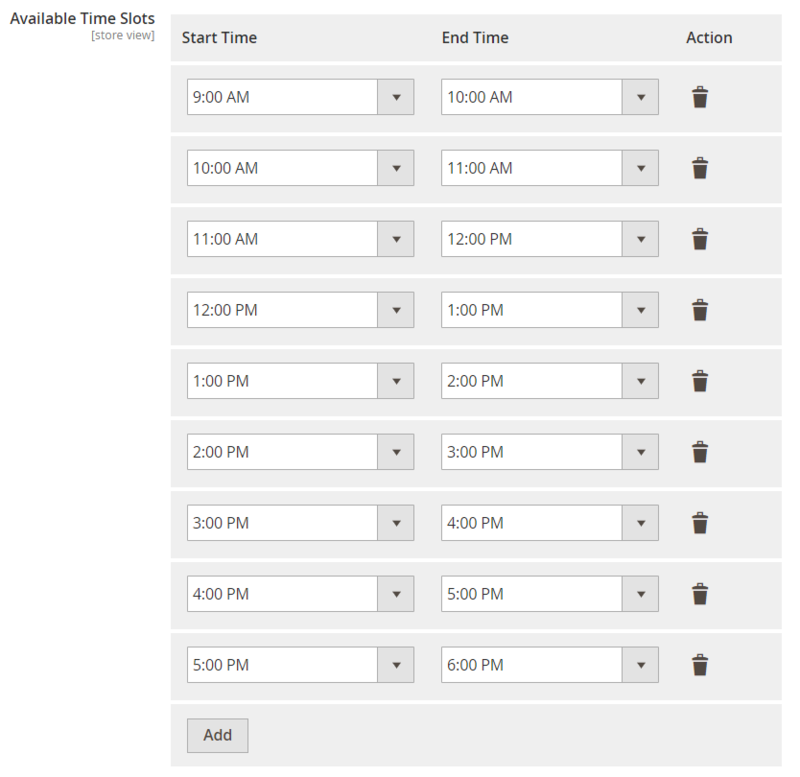 You can even configure delivery date and timing fields, as well as allow customers to leave notes. For every payment method, a security protocol badge can be uploaded. Besides, you decide whether to enable GeoIP detection and Google address suggestions. Now, when the extension is configured, it is time to go live providing customers with such benefits as form autocomplete, country autodetect, Google suggestions, autofill for logged customers, items editing right on the checkout page, convenient login, and tons of other benefits. Then, wait for some time and check the performance of your checkout page. The Aheadworks Smart One Step Checkout Magento 2 extension allows you to view detailed reports that we’ve just mentioned above. Next, you can improve your checkout page even more with the help of information from the previous step. Also, don’t forget about the integration with other Aheadworks Magento 2 modules, since they can significantly improve your checkout process and enhance the default shopping experience. To configure the Aheadworks Smart One Step Checkout Magento 2 extension, go to Stores -> Settings -> Configuration -> Aheadworks Extensions -> One Step Checkout. The configuration page contains 8 sections: General, Newsletter Subscription Options, Default Values, Delivery Date Options, Shipping Fields Customization, Billing Fields Customization, Trust Seals Block, and GeoIP Settings. Let’s describe each section in more detail. The General section allows admins to customize the title of your Magento 2 one step checkout page, as well as add a description that will be displayed there. Next, you can enable/disable discount codes and order notes. It’s a good idea to allow both since they increase loyalty and help to collect more information. Besides, in this section, you enable/disable automated address suggestions and specify your Google Place API key for them. In the Newsletter Subscribe Option, enable the feature and make it checked by default. This way, you will get more newsletter subscribers. In Default Values, specify the values that will be selected on the checkout page by default. If most of your customers are from the same country, region, or even city, specify this information as default values – you will radically improve the checkout procedure. 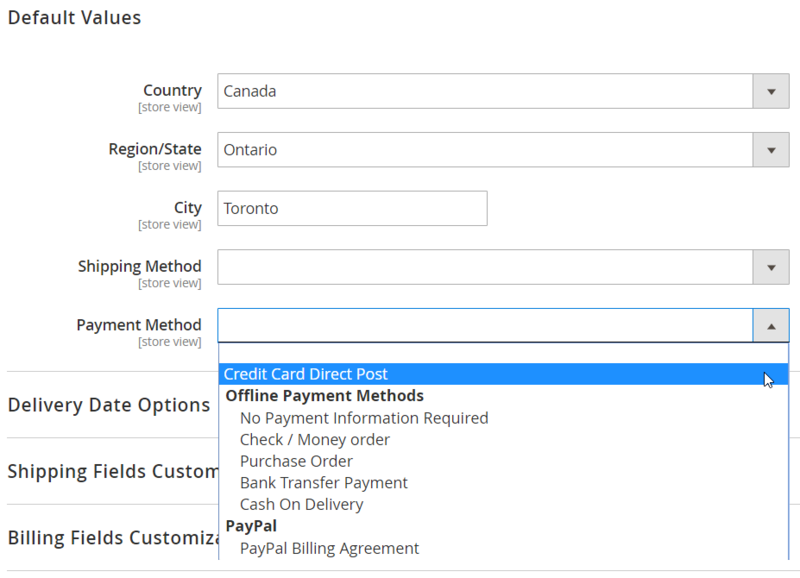 Also, you can select default shipping and payment methods. 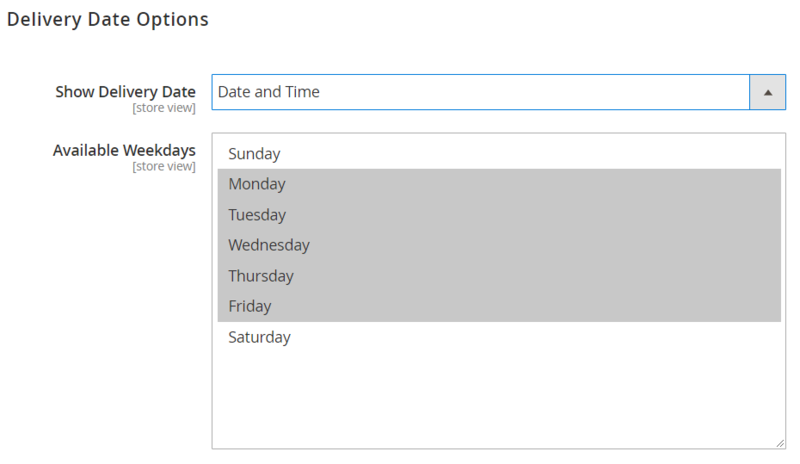 In Delivery Date Options, you can decide whether to show delivery date or not. There are two options available: Date and Time or Date Only. Next, specify available weekdays. Available time slots can be created next. Besides, you can create a list of exceptions – days when delivery is not available. There are four period types to choose from: single day, a recurring day of the week, a recurring day of the month, or period from-to. It is also possible to specify the number of days between order and delivery. 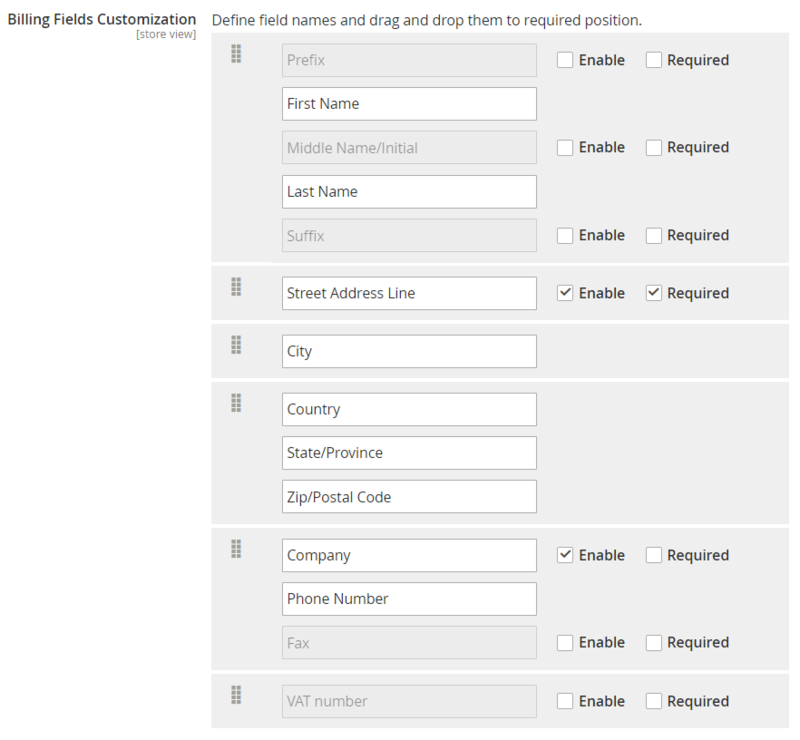 The Shipping Fields Customization section allows disabling particular options. Note that there are fields required by default and others that can be enabled/disabled from the backend. You can also make these fields required. Defining names for all fields is possible. The same options are available in the Billing Fields Customization section. 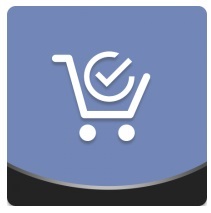 As for the Trust Seals Block, it allows you to configure security badges that will be displayed under the “Place Order” button on the checkout page. 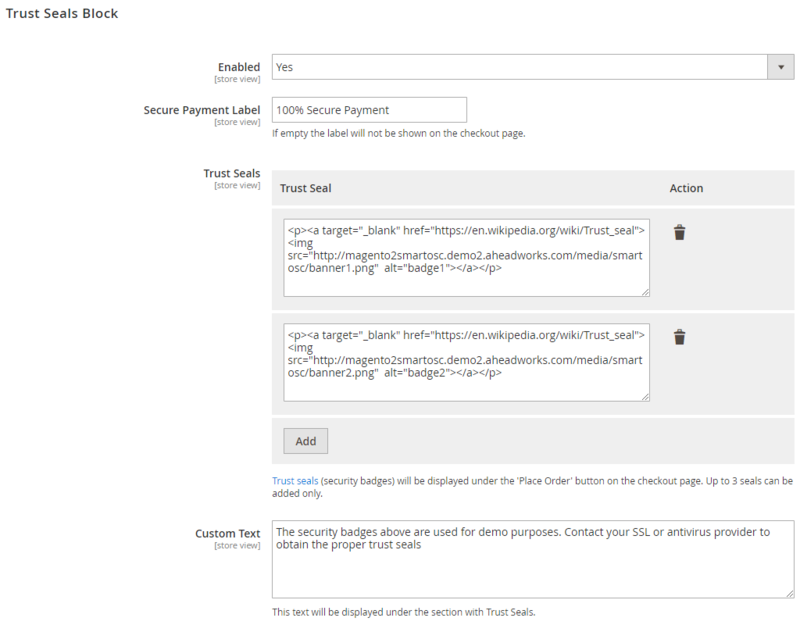 Enable the feature, specify the secure payment label, add trust seals, and specify custom text that will be displayed under the section with Trust Seals. The last configuration section is GeoIP Settings. Here you can install the GeoIP2 library, update existing GeoIP2 database, and enable the IP detection feature. Before going to the frontend section of the Aheadworks Smart One Step Checkout Magento 2 extension, we’d like to draw your attention to its part with reports, which is available under Reports -> One Step Checkout by Aheadworks. 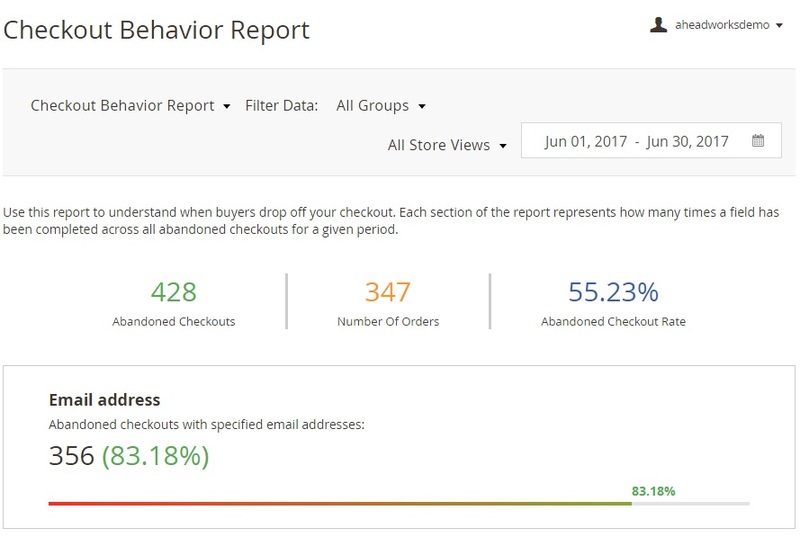 Two report types are available here: Abandoned Checkout Statistics and Checkout Behavior Report. The Abandoned Checkout Statistics page contains several diagrams. The first one illustrates checkout conversion for such time intervals as day, week, month, quarter, or year. 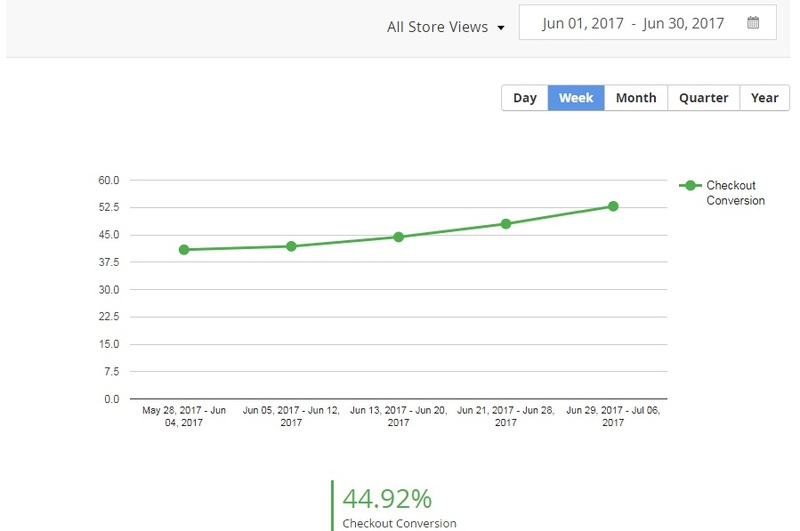 Below, you can see average checkout conversion rate. The next diagram helps to compare the number of abandoned checkouts with the number of orders, as well as abandoned revenue with total orders revenue. The last element on this page is a grid that displays the mentioned above information. 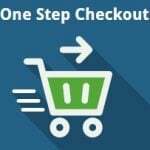 As for the Checkout Behavior Report, it illustrates the complete picture of how your customers interact with the Magento 2 one step checkout page. Each report section represents the number of times a field has been completed across all abandoned checkouts. The provided information is very helpful since it allows identifying the weakest point of your checkout page to revamp it. 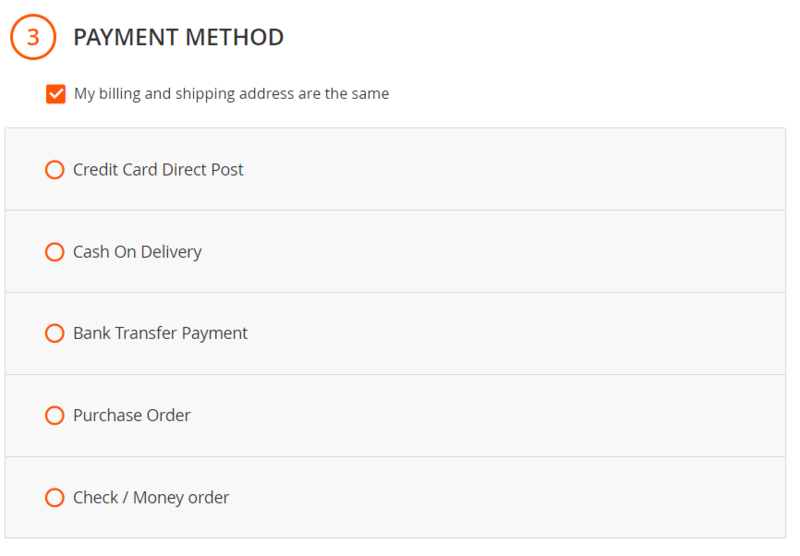 Now, let’s describe the Magento 2 one step checkout page offered by Aheadworks. 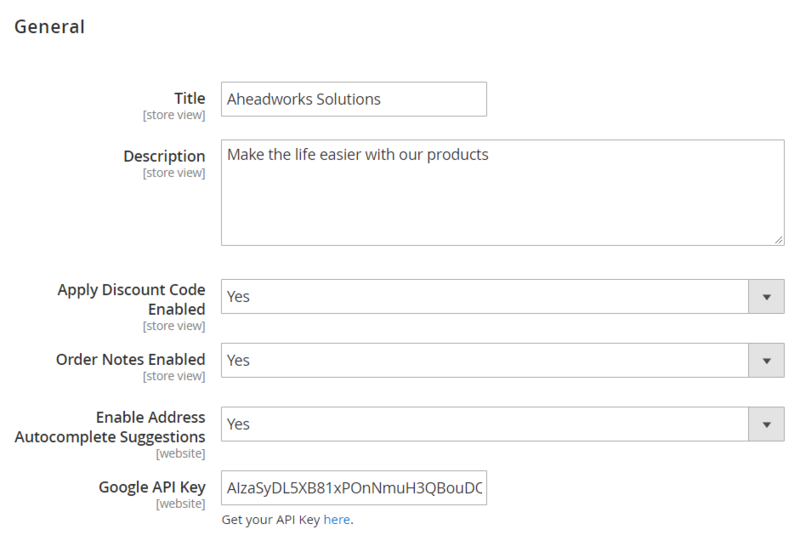 As we’ve already mentioned in the backend tutorial, the Aheadworks Smart One Step Checkout Magento 2 extension allows adding a custom title and description for the checkout page (“Aheadworks Solutions” and text below, as we have specified). Next, the page proposes you to login to enter the information automatically from a customer account. It is necessary to leave an email if you are not registered or don’t want to log in. An account can be created after the checkout using this email. Besides, the extension will send an order confirmation to the specified address. Next, specify shipping address. Note that some fields contain default values that can be replaced. The Shipping Method section allows choosing a shipping method and specifying delivery date and time. In Payment Method, all available payment methods are listed. 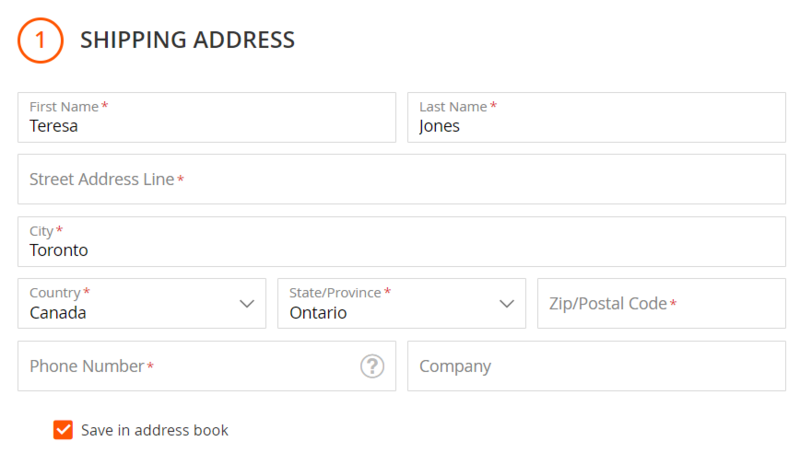 If your billing and shipping addresses are the same, check the appropriate option to decrease the number of fields that must be specified. As for the Order Review section, it allows customers to view products in the cart, change their quantity, and view details of configurable products (note that configurable options can be edited right on the checkout page!). Besides, the section illustrates cart subtotal, shipping, and order total. You can use a coupon code, sign up for the newsletter, accept terms and conditions, and add order notes. Below the “Place Order” button, security badges and a short description are displayed.